Tarshish Cody, PLC proudly calls Richfield Minnesota home for its Headquarters. The firm is located on the famous and frequently traveled on Penn Avenue. 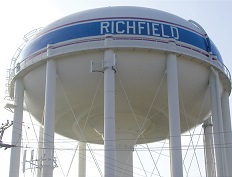 If you are looking for a Richfield Attorney, you have come to the right place. Being close enough to the city, but far enough away to offer our clients hassle free parking for visits, Richfield has proven an ideal location for Tarshish Cody, PLC and its lawyers. “My experience with Tarshish Cody, PLC has been positive and professional in every way. Each attorney and staff person that I interacted with was a pleasure to work with and were always focused on ensuring that all of my questions and concerns were addressed and dealt with to my satisfaction. I plan to continue to use them for legal advice and representation in the future and wholeheartedly recommend them to family, friends and business associates.” Jon R.
“Top notch legal services; caring, skilled attorneys; reasonable prices. Highly recommend!” Nicholas E.
“Extremely helpful and curtious. They helped me resolve my issue in a timely manner, and left me feeling like we had explored all options. I cannot recommend them enough!” Tyler P.